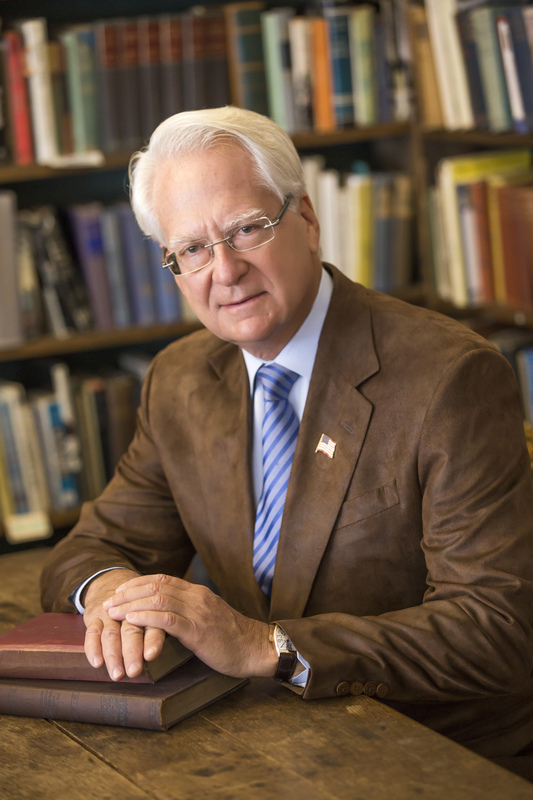 Go to www.FreedomWatchUSA.org to Sign Petition to Withdraw William Barr Nomination and Substitute Bob Barr and to Have Him Appoint Klayman Special Counsel! President Donald J. Trump, much to his credit, does not frequent bars, as he admittedly a non-alcohol drinker. But in listening again to bad advice from establishment Republicans by nominating former George H.W. Bush Attorney General ("AG") William "Bill" Barr to replace the cowardly and now disgraced AG Jeff Sessions, he clearly has swallowed the proverbial "Kool Aid." And, with the forced impending resignation of Sessions' Deputy AG Rod Rosenstein, just when it looked like the president was extricating himself from the swamp, he has fallen back into its dark and murky waters. In this regard, just last Wednesday the newly nominated Bill Barr, to assuage Democrats in the U.S. Senate who want to block his confirmation just to again stick it to the president, stated proudly that he is a supporter and admirer of Special Counsel Robert Mueller. Having been interviewed for only about 20 minutes by incoming chairman of the Senate Judiciary Committee Lindsey Graham, in anticipation of confirmation hearings this upcoming week, the senator from South Carolina revealed, "I asked him if he thinks Mr. Mueller is on a witch hunt and he said 'No. I asked him if he thought Mr. Mueller would be fair to the president and the country as a whole, and he said, 'Yes.'" It was also reported that "Mr. Barr also had kind words for Mr. Rosenstein, telling reporters he'd done an 'excellent job,' the GOP chairman said." See Jeff Mordock, "Graham Voices Support for Trump Pick: Mueller Probe Not a Witch Hunt Says Attorney General Nominee," The Washington Times, Page A3 (January 10, 2019). So much for the prophesy of the likes of Fox News' legal analyst Gregg Jarrett, who just this week had opined that nominee Bill Barr would reform and clean out the swamp at my alma mater, the U.S. Department of Justice ("DOJ"), which in the last years has morphed into a "Department of Injustice," replete with rampant criminal conduct by its prosecutors. Just ask my clients Cliven Bundy and Francis Schaeffer Cox, the later of whom you will read about in future columns. And, this just scratches the surface, given the dual system of justice fueled by Deep State pro-Clinton/Obama and anti-Trump lawyers who while persecuting and charging conservatives with crimes, look the other way when it comes to the Wicked Witch of the Left, Ms. Hillary herself, and her equally ethically bereft husband Bill – not to mention the criminality of former FBI Director James Comey and his "yes men" Andrew McCabe, Peter Strzok, Lisa Page, Bruce Ohr and of course how could I leave out Special Counsel Mueller and his hack leftist prosecutorial staff. See "Gregg Jarrett: Why Rosenstein's Departure Will Help Restore the Rule of Law at the Justice Department," Fox News Opinion Blog (January 9, 2019). Of course, by painting a "rosy picture," Jarrett is attempting to boost Fox News' ratings, as the network has to hold out some hope to a disgruntled, dejected and generally jaded audience that is tired of the status quo. But reality is far different from wishful thinking, even were it fact based. This reality is that the Republican establishment, which time in and time out has stabbed our duly elected president in the back – indeed many like Karl Rove would like to see him impeached and convicted so they can run their own establishment candidate for the presidency in 2020 – has, though calculated bad advice, again predictably sold The Donald down a river metaphorically as treacherous as the anaconda infested Amazon. The bottom line is this! Little will apparently change at DOJ with an establishment former AG like Bill Barr at the helm. He is part of the cozy Washington D.C. legal club which circles the wagons to protect its privileged few. Note that when even strong legal pundits like Joseph DiGenova refer to such villains as Robert Mueller, they call him "Bob." Well, fellow patriots, let's not now be fooled about the true intentions of "Bill." Instead, lets propose to the president that he sober up, stop drinking the establishment Kool Aid, go to another Barr, and withdraw the nomination of "Bill" and insert another "Bob" as the new nominee for AG. I am talking about Bob Barr, a man who has the independence, strength of purpose and integrity to represent We the People, and not protect the legal establishment, much more the other Barr's "super hero" Special Counsel Robert Mueller. I got to know Bob Barr during the days leading up to and during the impeachment of President Bill Clinton. Before becoming a congressman from Georgia, Bob was the U.S. Attorney for the Northern District of Georgia in Atlanta. 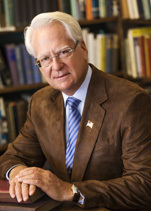 He and I worked together not just to fashion articles of impeachment against Slick Willey, but also pushed along with House Impeachment Manager David Schippers to have the impeachment and later trial include much more serious crimes than the Lewinsky caper – to include other Bonnie and Clyde scandals such as Chinagate, Filegate, Travelgate, and IRSgate. To this end, Bob introduced into the Congressional Record an "Impeachment Report" I had prepared as then chairman and general counsel of Judicial Watch. But the Speaker of the House, Newt Gingrich who himself was compromised with an ongoing extra-marital affair, deep sixed this expanded impeachment, one which could have removed Clinton from office. When I left Judicial Watch in the fall of 2003 to run for the U.S. Senate in Florida, I recommended to the directors who I had left behind that they fill my chairmanship and general counsel post with Bob Barr. They did not take my advice and to this day Judicial Watch is not run by an experienced prosecutor and lawyer. Bob was indeed interested. So now, President Trump should take the advice that my former colleagues spurned and nominate a truly courageous, fearless and independent man to head our DOJ to restore its integrity and to keep the rabid Special Counsel Robert Mueller and his hack leftist prosecutors on a short leash. Working with Bob, as I did during the Clinton impeachment, he and I could constitute a powerful one-two punch, particularly if Bob names me a second special counsel to again investigate and prosecute Clinton crimes such as Fusion GPS and the Steele dossier, to name just a few. Go to www.freedomwatchusa.org and sign the petition to name me this second special counsel and to urge the withdrawal of the nomination of Bill Barr and instead recommend to the president that he nominate Bob Barr as the next AG.